Campaign update #1 -Youth Guarantee campaign hits the road - Spain, Portugal, Ireland & Bulgaria - Your future is my future - a European Youth Guarantee now! When we launched it, we knew the campaign for a European Youth Guarantee would garner support, but we never imagined just how much support we would have: we are ready to take the call for a youth guarantee to the next level. Your support is key to tackle youth unemployment in Europe. 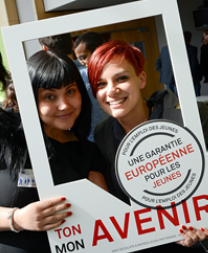 Join the thousands of campaigners calling for a European Youth Guarantee. Next week we will give you more details on our campaign event during the PES Congress in Brussels (28-29 September).